seems like it is more “fall like” now than it was when it was in September. like a month, and then it’s back to warm tropical weather! But I think you get the gist of the manicure. Cute! I've seen marbling done but this is a very unique look. 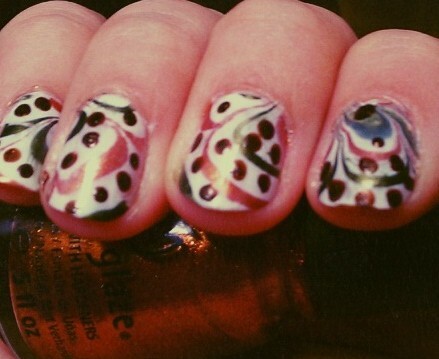 Love the white with the fewer marbling lines and simpler look, and the dots are fun! 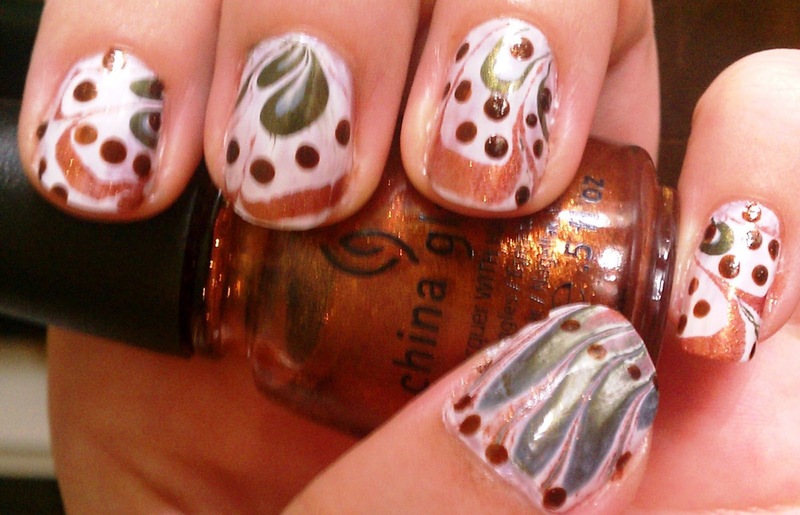 I have this China Glaze brown also, wasn't sure if it would marble well. 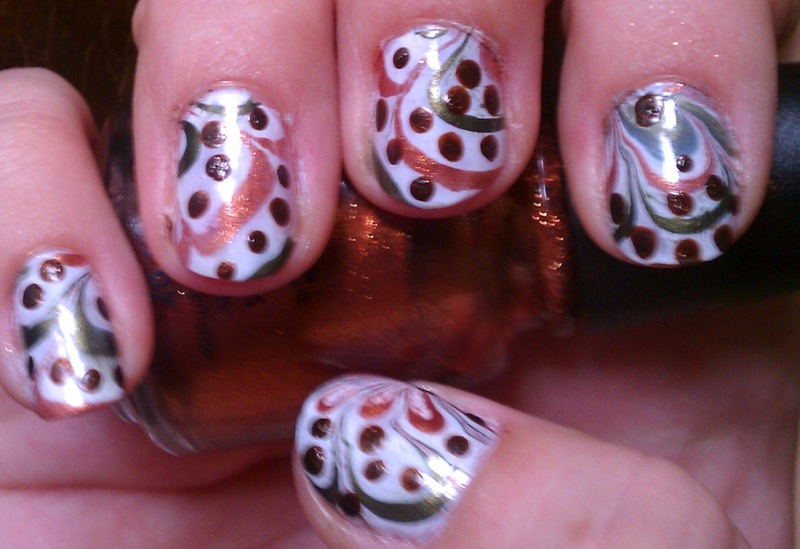 Nice fall mani! Thanks Shannon 🙂 I love trying different techniques! 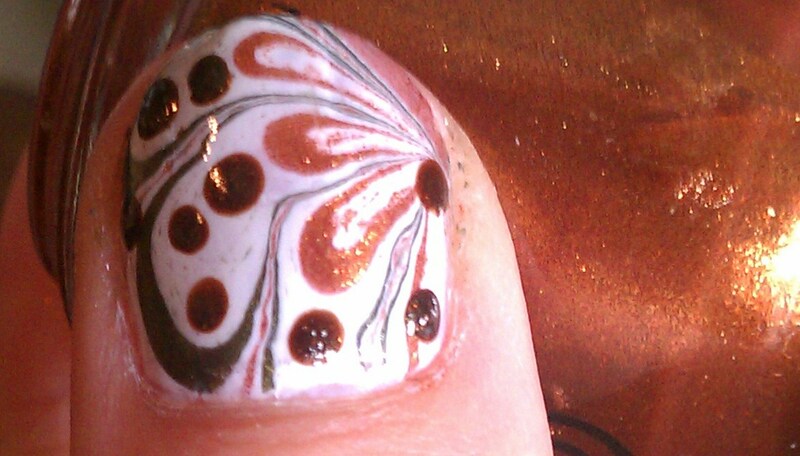 China Glaze (or at least the ones I have) tend to be some of the "better" marble friendly brands. I've actually not had a lot of luck with the OPI's that I have. Wet n' Wild also *usually* works surprisingly well.